Monarch airlines says flights operating as normal – Kenyatta University TV (KUTV). All Rights Reserved. Monarch Airlines has denied “negative speculation” that the company is in financial trouble and said it is “trading well”. The budget airline, which employs around 2,800 people, issued a statement after customers tweeted over the weekend to ask if the airline was “going bust” amid speculation. The carrier said that despite tougher market conditions, it expected to make £40m in pre-tax profit by the end of its financial year in October. Monarch, which is headquartered at Luton Airport, added that it will announce a “significant investment” from its stakeholders in the coming days, as part of its plan to fund ongoing growth.The travel industry has been blighted by terrorist attacks, Brexit and the plunging pound. 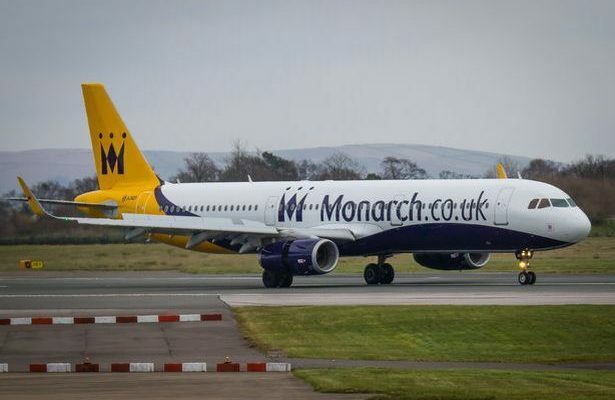 A spokesperson for the company said the airline was operating flights as scheduled.”Over the weekend, there has been negative speculation about Monarch’s financial health,” they said. “We’re unsure of where these rumours originated but we can confirm they are not true.” In 2014 investment firm Greybull Capital bought a 90% stake in the airline as part of a £100m rescue deal.